When you attend a Widespread Panic concert, you never know what surprises the band will have in store. On April 23 in Alabama, during the band's 2016 Spring tour, they were joined by members of the Tedeschi Trucks Band for an exciting encore of The Rolling Stones' 1969 song "You Can't Always Get What You Want." Watch it above, courtesy of Widespread Panic's YouTube. 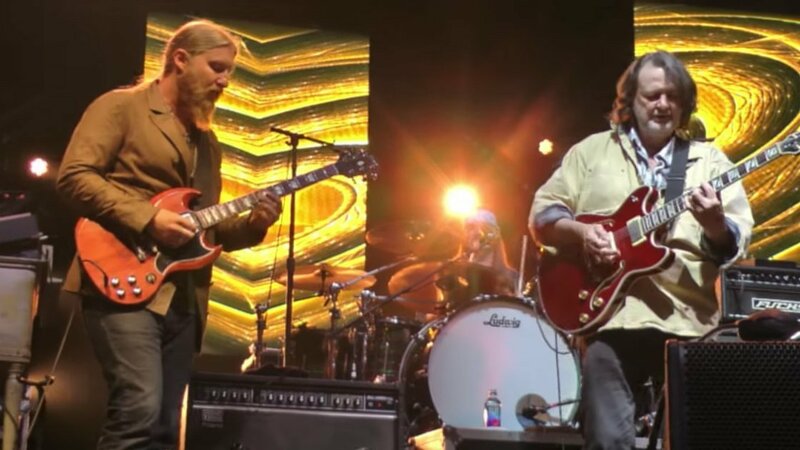 JB's vocals work well with Susan Tedeschi's and Derek Trucks' slide guitar playing is another highlight of the performance. Not to be outdone, Jimmy Herring's guitar lead toward the end of the song pushes the energy to the next level. JoJo's keyboard playing keeps things light and about halfway through there is a bit of a Lou Reed "Walk On The Wild Side" bass tease from Dave Schools. You can buy the official soundboard recording of this concert at LiveWidespreadPanic.com, where the band sells high quality concert recordings. If you haven't done so already, pick up Panic's 2015 album, Street Dogs, on Amazon (Vinyl, CD, MP3). You can also stream the full album for free and read our review here on Zumic. For more music, news, and tour information about Widespread Panic, check out their Zumic artist page.